Meet the Point security system: an elegant home security solution that respects your privacy but also lets you know what is happening in your home. Unlike many other home security solutions, this gadget does not have a camera. But it does have various sensors to monitor sound and presence, air, temperature, and humidity. 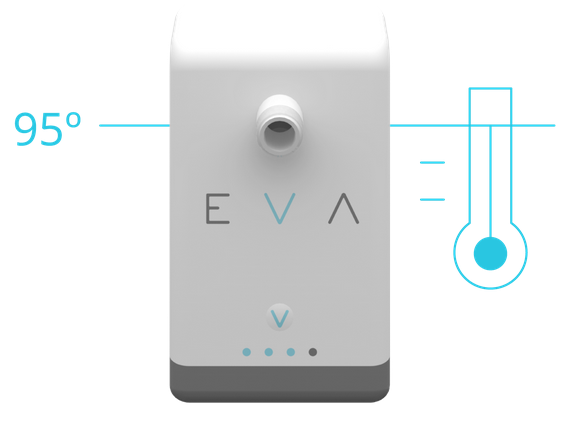 The device works without a hub and comes with a speaker and lights to give you notifications. Point does not take a lot of space and won’t require a whole lot of interaction from your side. The battery should last for a year. You can customize its behavior from your smartphone. The device can let you know when noise level is above your defined threshold or whether there is smoke in your home. Point is on Kickstarter.